Based on a USD price of $56,520.00 and today's exchange rate. 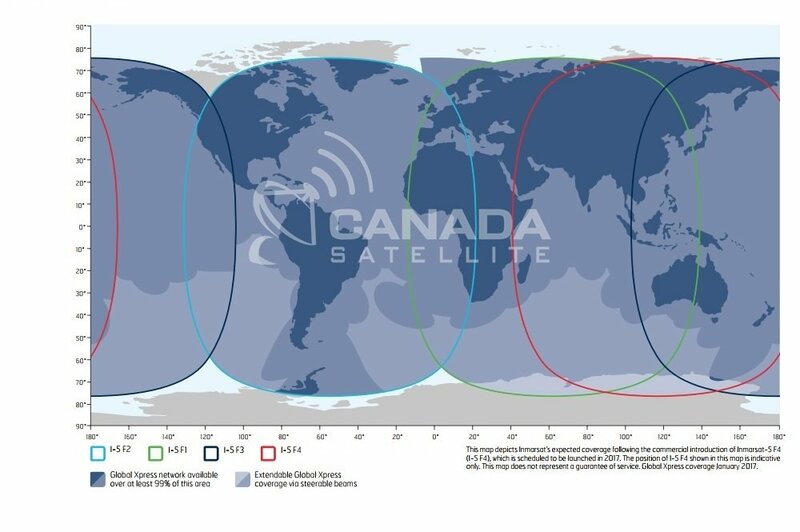 The v100GX is a 1 meter Ku-band to Ka-band convertible maritime stabilized antenna, a ready-to-use system for the super-fast, GlobalXpress (GX) Ka-band broadband service from Inmarsat. 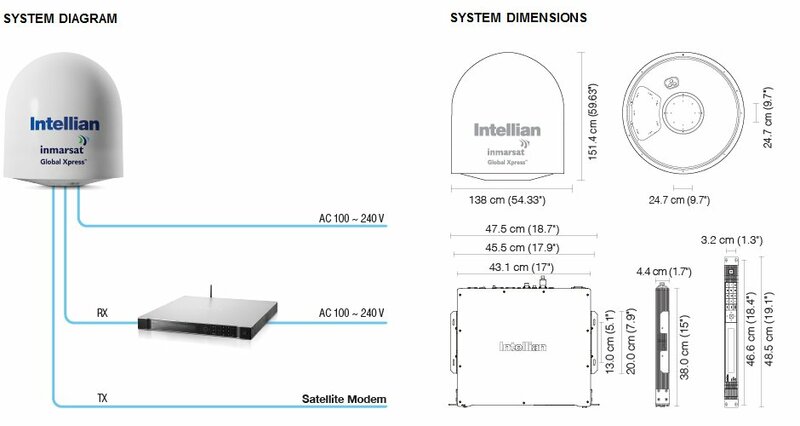 The Intellian v100GX is a 1 meter Ku-band to Kaband GX convertible maritime stabilized antenna, and ready-to-use system for the super-fast, Global Xpress™ (GX) Ka-band broadband service from Inmarsat. The v100GX offers a robust, affordable, plug and play conversion kit to enable a smooth upgrade path from Ku to GX service in as little as 10 minutes without requiring a factory trained technician. The v100GX’s high-gain, highly efficient reflector and tuned radome ensure the best service quality available when configured for Ku or Ka-band GX operation. In addition, the v100GX supports low elevation angle (-20°) capability to guarantee reliable connection at extremely high latitude. The v100GX’s seamless end-to-end solution is to offer hassle-free installation, operation, and maintenance. The v100GX interfaces with Aptus, Intellian’s graphic-based antenna remote control software. The Aptus Software Development Kit (SDK), allows a NOC or service center to integrate antenna monitoring and control into an existing network management system in an easier, more user-friendly, and convenient manner. The v100GX can be easily and quickly converted from a Ku-band system to a Ka-band GX system with an integrated RF module consisting of the BUC and LNB. The BUC and LNB assembly is attached to the rear side of the reflector in a simple process, with no need to balance the system after the conversion. The Ku-band feed can be easily and swiftly replaced with the Ka-band feed which is included in the GX Conversion kit. The v100GX is designed and engineered to operate on Ku and Kabands while maximizing the RF performance on both bands. The reflector of the v100GX is capable of receiving on either Ku or Kabands, eliminating the need to replace the reflector when switching between bands. To ensure efficient operations for both Ku-band VSAT and Ka-band the radome performance is maximized with an optimized radome design that enhances both the Ka-band and Ku-band system performance. The v100GX is equipped with Intellian’s patent pending Global PLL LNB as standard. Intellian’s new Global PLL LNB presents the world’s first Ku-band LNB module capable of receiving a full range of operating frequencies from any VSAT satellite around the globe. This unique and innovative capability of remotely changing the frequencies of the LNB makes the v100GX by far the only system that is ready for Global Ku-band VSAT service to date. The v100GX supports ABS via Open AMIP protocol of iDirect and the ROSS Open Antenna Management (ROAM) protocol of Comtech making phone calls, texting SMS messages just like on shore. Intellian’s new generation Gyro-free satellite search function enables the v100GX to acquire and lock onto the satellite without requiring a separate input from the ship’s gyrocompass.